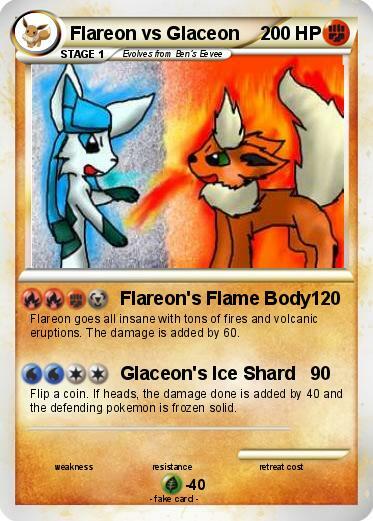 Flareon goes all insane with tons of fires and volcanic eruptions. The damage is added by 60. Flip a coin. If heads, the damage done is added by 40 and the defending pokemon is frozen solid.